Orpix, an AI & computer vision company, announces the release of its AI solution for Sponsorship Valuation, which allows users to accurately and quickly evaluate sponsor exposure in a variety of digital media, including sporting events and popular social media sites. This is done using a combination of state of the art logo detection using novel deep learning algorithms and a user-friendly web-based application. The solution can be deployed either on the cloud (AWS) or on-site. 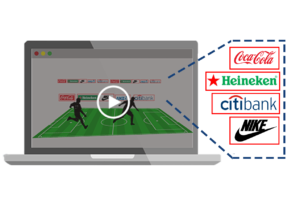 A report can be automatically generated with deeper insights for sporting events. For a free report of the 2018 Fifa World Cup Final, click here. Aside from Sponsorship Valuation, Orpix also offers a Vehicle Make and Model Recognition API (VMMR), as well as a variety of custom domain specific solutions. For more information visit our home page: www.orpix-inc.com.